Over thirty-five years ago, in the kitchen of a small apartment in Oakland, California, Marc Allen and Shakti Gawain started a publishing firm known as Whatever Publishing to put out into the world a few books and booklets they had written. It was a shoestring operation, started with very little capital. Total sales in 1977 were $800. 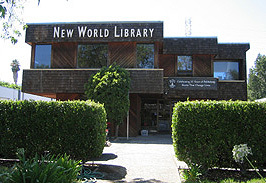 Today New World Library owns its own spacious building in Novato, California, has sixteen employees, and generates eight-figure revenues. 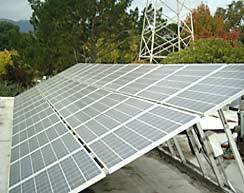 The company’s name changed in the mid-1980s to better reflect the quality of its developing list. One of its first books, Gawain’s Creative Visualization, became an international bestseller and has sold more than six million copies in English and been translated into more than thirty foreign editions. In the early 1990s, Shakti Gawain formed Nataraj Publishing, and Marc Allen became sole owner as well as publisher of New World Library. In 1998, Gawain and Allen, still close friends, formed a new working partnership, and Nataraj Publishing became an imprint published by New World Library. Two other joint publishing ventures, with Amber-Allen Publishing and H J Kramer, have contributed heavily to New World Library’s success over the past two decades as well. Between late 1993 and 1995, six books and six spoken-word audios were published under the Amber-Allen imprimatur. One of those books, The Seven Spiritual Laws of Success by Deepak Chopra, has gone on to sell more than three million copies in English and has been translated into more than thirty foreign languages. It was on both the New York Times and Publishers Weekly bestseller lists for over eighteen months. In 2000, New World Library entered into a joint venture with H J Kramer, the publisher of such authors as Dan Millman (Way of the Peaceful Warrior), John Robbins (Diet for a New America), and Sanaya Roman (Creating Money). New World Library assumed responsibility for many functional areas of H J Kramer, including sales, marketing, subsidiary rights, fulfillment, production, and accounting. H J Kramer has continued to focus on author relationships and acquiring and developing new books. New World Library has an active backlist of over 550 titles, including three dozen spoken-word audio CD’s and digital down loads. Spoken-word audio sales have made a substantial contribution to New World Library’s success over the years, led by Creative Visualization, The Seven Spiritual Laws of Success, and The Power of Now. In order to give its books the care and treatment they deserve, New World Library publishes approximately thirty-five new titles annually. “That way our backlist gets the same attention as our new titles,” says Allen. “We publish good books, and we want to keep them in print as long as possible.” Nearly 70 percent of New World Library’s revenues are generated from its strong backlist, which includes books by Joseph Campbell, Eckhart Tolle, Jennifer Louden, Riane Eisler, Echo Bodine, Mother Teresa, Richard Carlson, Alan Watts, Kent Nerburn, Christina Baldwin, Brad Warner, Valerie Worwood, Daphne Rose Kingma, and, of course, Shakti Gawain and Marc Allen. New World Library has been distributed to the book trade by Publishers Group West since 1979 and is their oldest distribution client. New World Library is a long time supporter of The Green Press Initiative, a nonprofit program aimed at getting authors and publishers to use recycled paper and more environmentally safe processing and printing procedures. In addition to using soy-based inks, nearly 100 percent of New World Library’s new titles are printed on postconsumer-waste (PCW) recycled paper. New World Library celebrated its 35th anniversary in 2012. Its success as a company is attributable to the continuing strong performance of Eckhart Tolle's books The Power of Now, Practicing the Power of Now, Stillness Speaks, and Guardians of Being with more than 5 million, 500,000, 400,000, and 150,000 copies sold respectively. In 2001, New World Library worked with the Joseph Campbell Foundation to launch the Collected Works of Joseph Campbell series. Fourteen books were released in this series by the end of 2013. The revised edition of The Hero With a Thousand Faces, published in 2008, has already sold nearly 160,000 copies and Pathways to Bliss has sold 50,000 copies. New World Library publishes books and audios that inspire and challenge us to improve the quality of our lives and our world. The ultimate goal of the company is a sweeping one: personal and planetary transformation — awakening both individual consciousness and global social potential by publishing inspirational and practical materials on spirituality, personal growth, and other related areas. Want to use a quote from a NWL book for your publication? Use this link to submit a permissions request.